Officials said tremor struck today 115 miles east of the island’s administrative capital Kandrian. There were no immediate reports of damage or injuries from the quake. New Britain island has a population of nearly half a million people. The whole region remains on high alert after a series of powerful earthquakes in recent days. 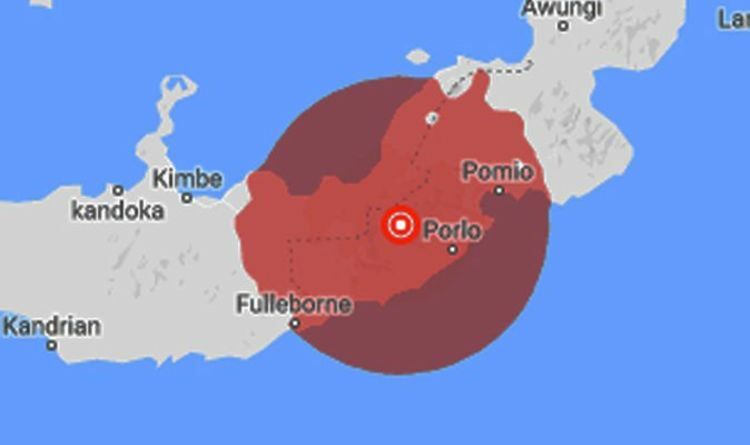 A 4.7 magnitude tremor as recorded south of Bougainville Island in the early hours of yesterday and a slightly larger 5.2 magnitude quake struck 20 miles from the town of Nipa in the main island’s Southern Highlands province. The island was also was rocked by another 6.4 magnitude earthquake on February 17. Last year’s major 7.5 magnitude tremor in Papua New Guinea which killed more than 150 people is still fresh in the memory for islanders. It was the country’s strongest earthquake since records began and triggered a series of catastrophic landslides which destroyed houses, contaminated vital water supplies and ruined crops. US Geological Survey monitors recorded at least 170 aftershocks after the deadly earthquake. Papua New Guinea sits on the notorious Pacific's Ring of Fire which constantly fizzing with seismic activity caused by friction between tectonic plates. The country's mountainous terrain means it often takes aid agencies and government officials days before they can gather information on damage and casualties.